This is some of the information included on the digital emergency preparedness guides being created for four shoreline towns. When the annual hurricane season peaks next fall, residents of four shoreline towns in Connecticut are expected to have access to a new resource to help them better prepare for a coastal storm emergency. During National Hurricane Preparedness Week May 6 – 12, staff at Connecticut Sea Grant and their partners will be working on finishing the project and getting approvals from the four towns – East Lyme, Madison, Old Lyme and Stonington. The towns plan to make the information available to residents in the coming weeks. The project is creating town-specific digital storm preparedness guides. These will serve as templates for other coastal as well as inland towns to use to develop their own online instruction manuals to help residents get ready for natural disasters. The social science research, led by Prof. Jennifer Marlon of Yale University, was funded as part of the NOAA Sea Grant Coastal Storm Awareness Program in response to Superstorm Sandy in 2012. Her research focused on how to improve the public’s understanding of storm warnings and preparedness advice. A companion project, funded by the U.S. Department of Agriculture, revealed that many towns in southeastern Connecticut didn’t have evacuation routes digitized on their municipal websites or even on paper maps. Those findings, Barrett said, were the motivation for the project to create digital storm preparedness guides for the four towns. UConn’s Center for Land Use Education and Research (CLEAR) and UConn Extension partnered with the towns and Connecticut Sea Grant on the work. Each of the digital guides included a story map that recounts through dramatic photos and personal accounts the impacts of the hurricane of 1938 that battered coastal Connecticut. It was a way of engaging the public, Barrett said. “We wanted to put it in a historical context, to help people understand why they should care,” she said. Along with the story map, each of the guides contains storm preparedness information customized for each town. 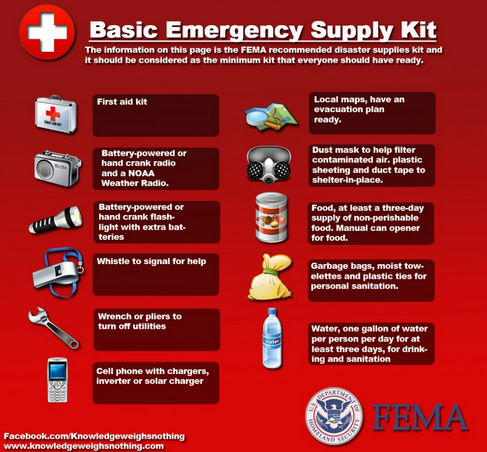 This includes locations of 24-hour medical and veterinary services, town shelters, evacuation and respite centers, lists of what evacuees should bring, sources for weather information and emergency alerts, and useful mobile phone apps. NOAA tide data, guidance about food safety after a power loss, instructions for boating safety and critical documents are also covered. Once completed, the guides will be accessible to the public through a link on the town websites to UConn CLEAR. Barrett said the four towns all had “bits and pieces” of preparedness information available to residents, but the guides bring a comprehensive list together in a format that will be easy to find. “When there’s a coastal storm approaching, residents will be able to go to the guides immediately,” Barrett said. As a companion project for the town of Old Lyme, Connecticut Sea Grant also created a one-page document specifically for its tourist population. This was in response to concerns of town officials that visitors may be unfamiliar with sources for local information about evacuation and emergency preparedness and how to sign up for the town’s emergency alert system. The fact sheet will be laminated and distributed to agencies that rent vacation properties to give to guests. A template of the document was also shared with Connecticut’s emergency management coordinator for the southeast corner of the state, the state Department of Emergency Services and Homeland Security, and emergency managers in other coastal towns, Barrett said.